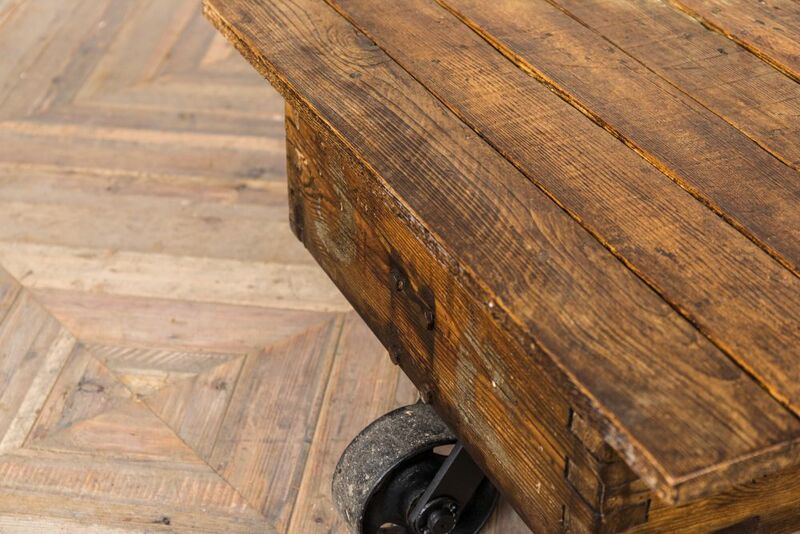 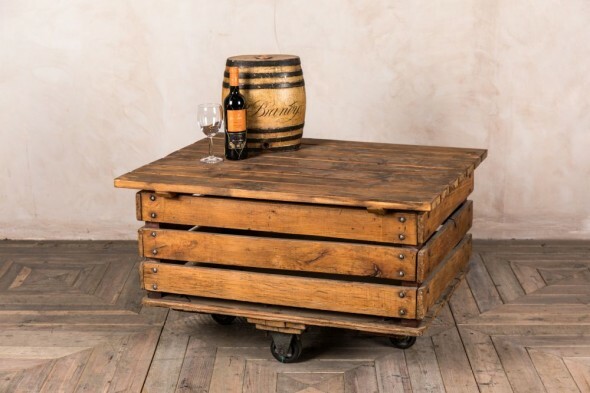 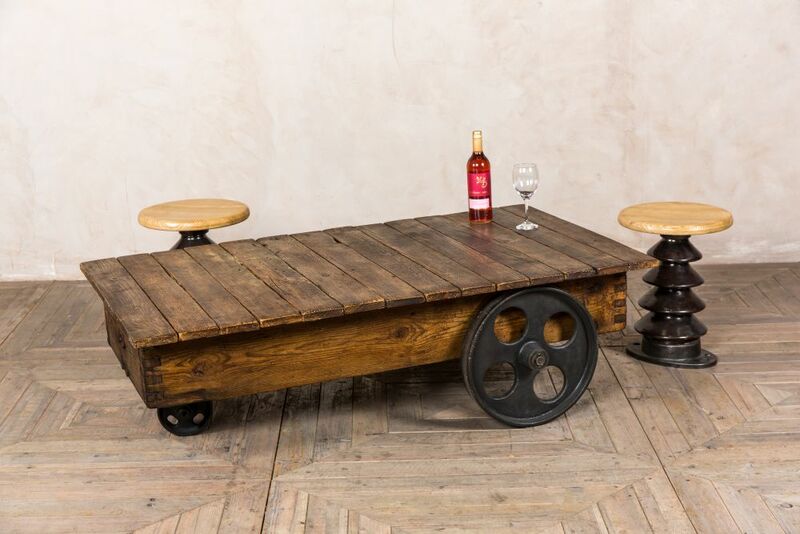 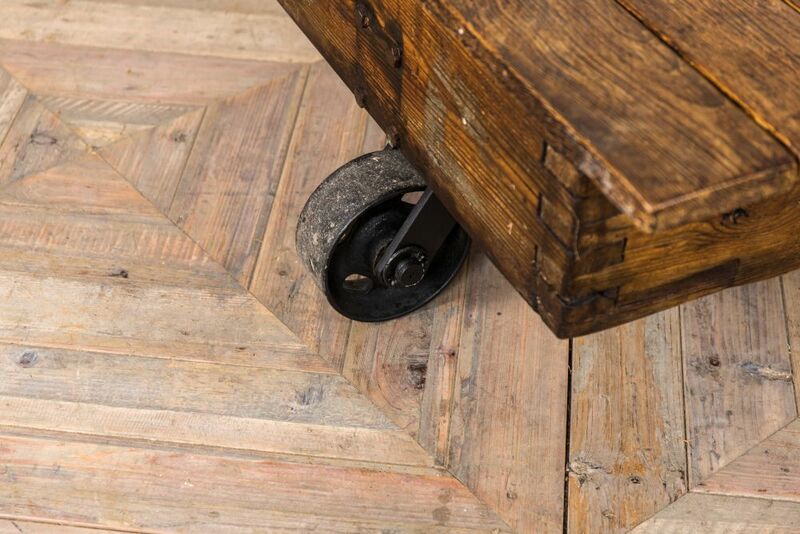 A quirky piece of furniture, this cart coffee table is a fantastic example of upcycling. 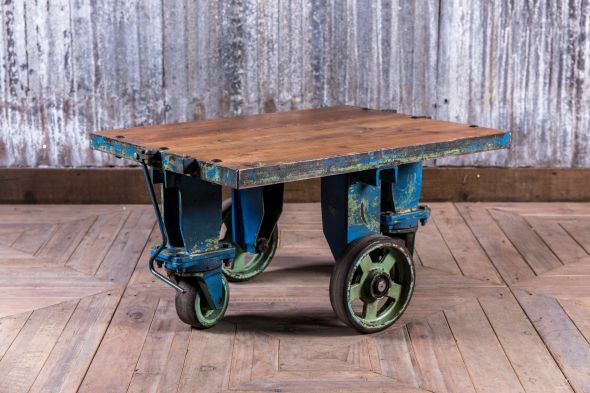 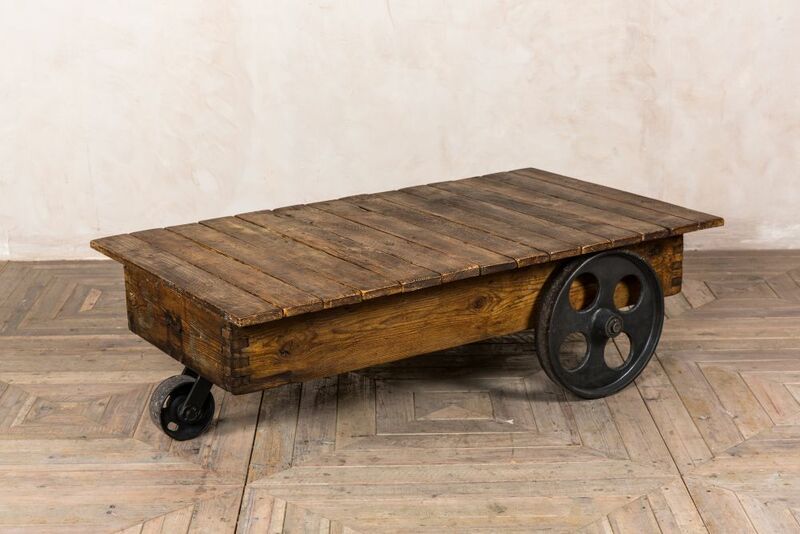 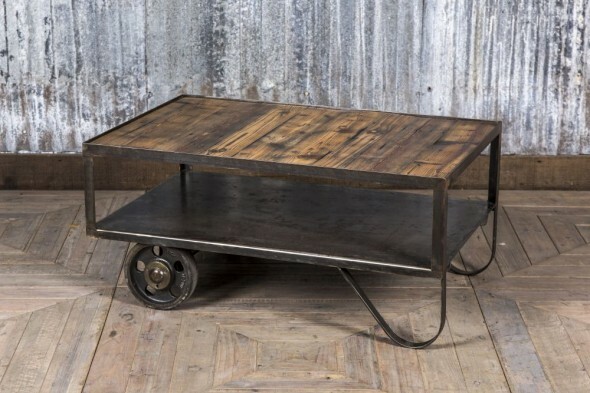 The cart would be perfect as a coffee table in any industrial inspired interior. 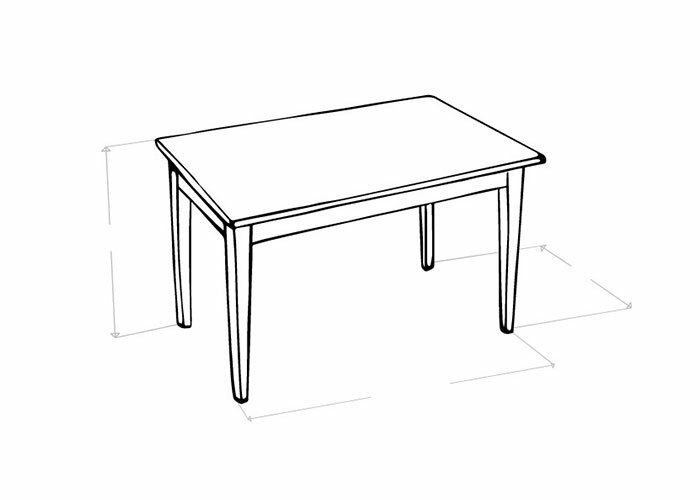 With its three wheels, this table is easily moved from place to place. 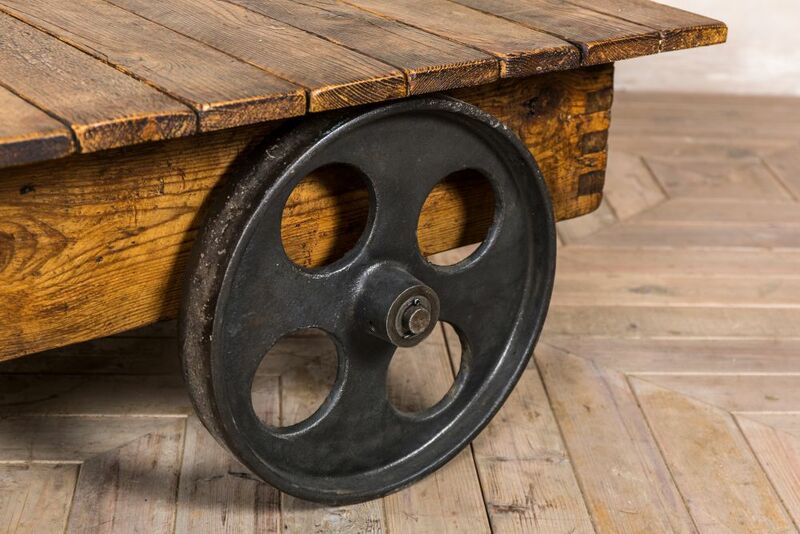 The wheels are metal, and the table top is made from short planks of wood. The table has a rustic finish and features natural knots and marks to the wood. 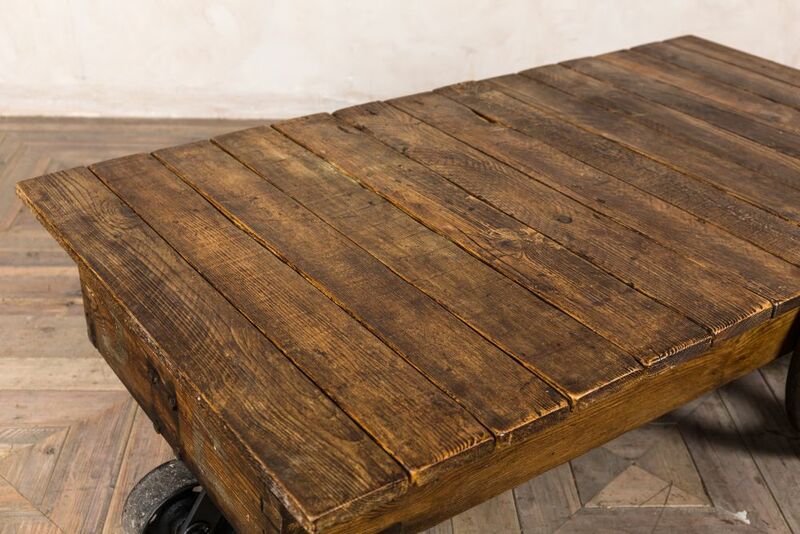 Please note that this table is an original vintage item and will show signs of wear and tear consistent with its age. There is a lead time of around 1 week with this item.